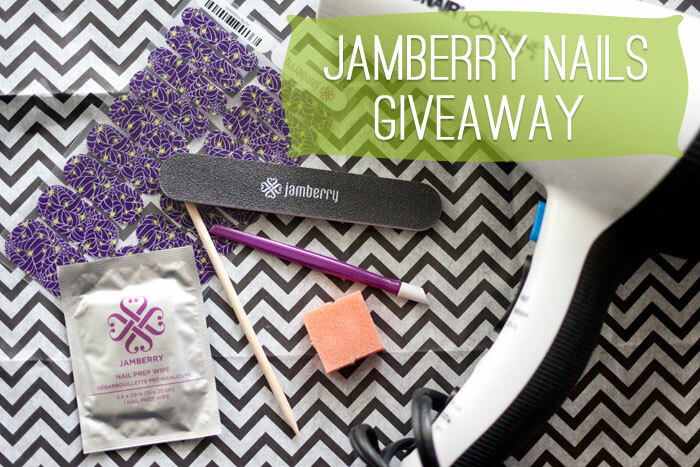 Halloween Jamberry Nails & Giveaway! Seriously, it’s kind of pitiful at my lack of skillz. Usually my dots look more like triangles, and striping is a nightmare. Don’t get me started. Now I’d be lying if I said these are super simple to apply. The instructions are a bit long, and if I’m being truthful, my first attempt is not perfect. BUT they are so cute and I got so many compliments that I think they’re worth it for special occasions. I’m not going to show you how to apply them because there’s already 50397593 tutorials out there on how to do it, but here’s the video I watched. You can see my final result below. Think I did okay? …And if you’d love to try out your own set of Jamberry Nails, Jennifer has offered to send samples to the first TWENTY of you to try! If interested, send her an email to request your sample. She’d also love to help you host a Facebook or Catalog party. If you mention “Hello Rigby Blog” and she’ll throw in an extra wrap for free. She also offers design services to make your own custom nail wraps. I just love this idea… I mean how cute would that be for a bridal shower or bridesmaid gift?! 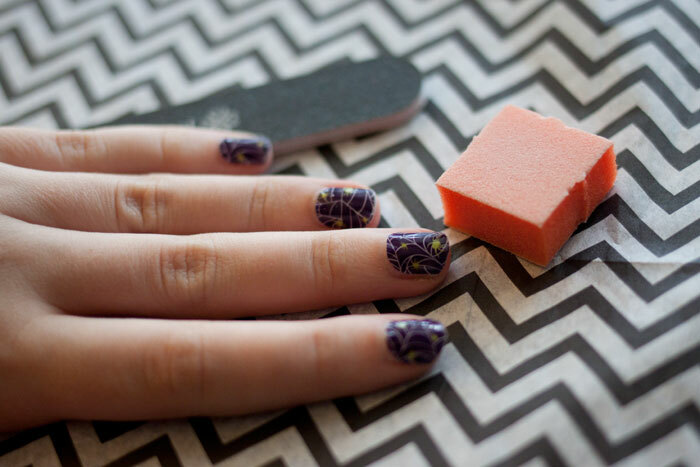 If you could design your own nail wrap, what would you like to see on it? The rose gold sparkle is beautiful! Isn’t that one pretty?! Good luck, Catherine! Love the design! How did they hold up? I swear I can paint my nails one minute and have them chipped the next :( I’ve never experimented with stick on art though! They definitely do not chip like regular polish. I did notice some tip wear, but then again I do type all day and it’s much worse with normal nail polish! Great pick, good luck Kate! That one is so pretty, good luck Emily! Ooh, I love Birds in Paradise! All of the snow flake ones! I can’t believe I still haven’t tried Jamberry yet. Love the Rose Gold Sparkle! Those are so pretty! Good luck, Ashley! I really like the Sugar Rush nails! I am obsessed with sprinkles. Those are cute, good luck Amber! So many great ones…love the Carnival design! Great pick – good luck Christine! Aw love that they have a Halloween theme on them! I love the ‘Winter’s Edge” wrap! Definitely, good luck and thanks for entering, Angelic! Looks like fun. Someone was just telling me about Jamberry the other day. Not going to lie, I NEED this. I’m way too unco when it comes to polishing my nails. Jamberry’s designs are all so cute! 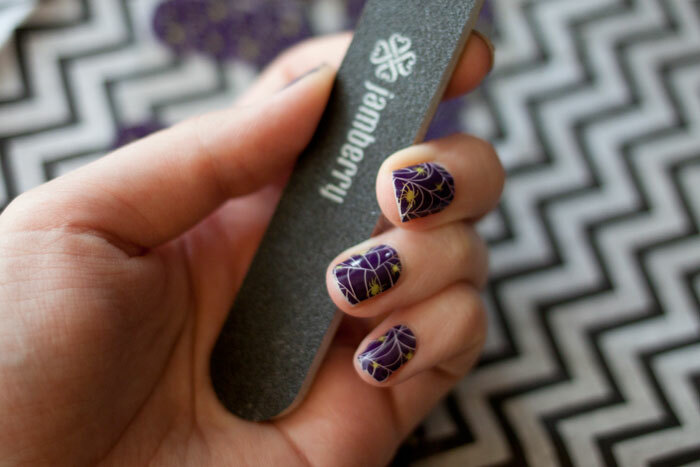 I would love to try Jamberry sometime, looks fun!!! I think so too, thanks Claire! Such festive nails! I tried Jamberry once and it isn’t for me but they are always so fun on other people. I love Candy cane and Midnight celebration plus more. The spider design is adorable! My nail art skills aren’t exactly great either – I can do stripes and dots but not really stuff more complicated than that. Haha, I know what you mean. There’s nothing like having someone else do your nails! Cool nails! So very festive for tomorrow! i really like the ones you have on in the picture! Neat! Good thing with nail polish nowadays is it can be experimental. Soo fitting, I love them! I am always too scared to try designs, so I got straight black with glitter lol! Nothing wrong with that! Good luck, Breanna! Sugar and Spice is soooo pretty! I like a simple design that can be appropriate for many days of wear! Thanks you Myrabev! I smudge often too, I’m too impatient to wait! I love ice boysenberry polka! Great pick – good luck, Moana! I know right? I’d wear almost all of them. Your nails look great! I think I would like to try the “Date Night” ones the most! I like star performer ! I like the candy cane ones. They are prefect for Christmas. Which is my favorite holiday. Those are so cute, good luck Amy! Love that one too – good luck, Dana! Thanks Jenn I’m eager to get my hands on a full set of these to sport and see how they look in full. I used the samples on 1 finger and painted the rest a matching shade. It’s lasting and looks great!! Ah that’s awesome, glad you’re loving them! Great pick, Natalie! Good luck! I think the cherry ice design looks cute! I love Jamberry! I haven’t mastered them yet but they still look good and my hubs loves when I wear them! They’re a lot of fun, and I think I still have a lot to learn about getting them applied correctly, haha! so much fun! it’s festive yet really pretty! Great pick – good luck Tiffany! I have yet to try Jamberry nails, but have heard such great things about them! I am going to have to get some. Those look great! I think you did a great job and they are definitely perfect for special occasions. Those are cute! Good luck, Rebecka! Of course! Thanks for entering Lynn, and good luck! I’m undecided- I love both the rose gold and midnight celebration designs! Great picks! Good luck, Kendall! Thank you so much to everyone that entered, and especially to Jenn for her lovely review! I have a new bunch of samples in the mail, so please don’t hesitate to contact me for a sample!